Researchers from Linköping University and the Royal Institute of Technology in Sweden have proposed a new device concept that can efficiently transfer the information carried by electron spin to light at room temperature—a stepping stone toward future information technology. They present their approach in an article in Nature Communications. Light and electron charge are the main media for information processing and transfer. In the search for information technology that is even faster, smaller and more energy-efficient, scientists around the globe are exploring another property of electrons—their spin. Electronics that exploit both the spin and the charge of the electron are called "spintronics." Like the Earth, an electron spins around its own axis, either clockwise or counterclockwise. The handedness of the rotation is referred to as spin-up and spin-down states. In spintronics, the two states represent the binary bits and thus carry information. The information encoded by these spin states can be converted by a light-emitting device into light, which then carries the information over a long distance through fiber optics. The transfer of quantum information opens the possibility to exploit both electron spin and light, and the interaction between them, a technology known as "opto-spintronics." "The main problem is that electrons easily lose their spin orientations when the temperature rises. A key element for future spin-light applications is efficient quantum information transfer at room temperature, but at room temperature, the electron spin orientation is nearly randomized. 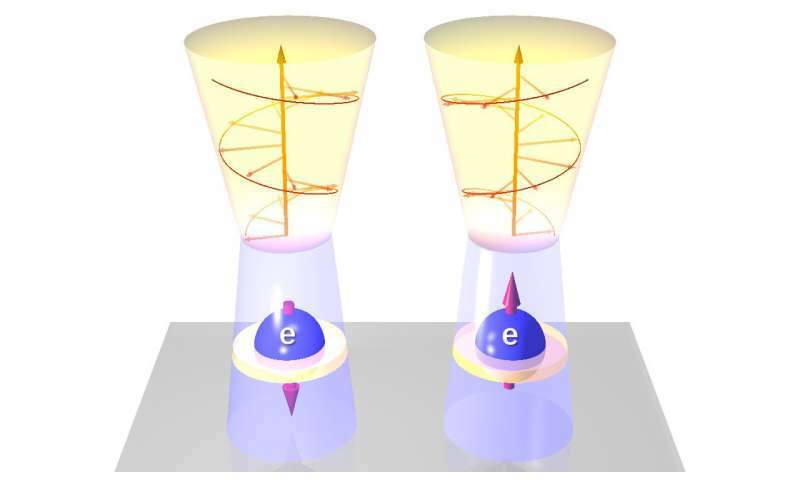 This means that the information encoded in the electron spin is lost or too vague to be reliably converted to its distinct chiral light," says Weimin Chen at the Department of Physics, Chemistry and Biology, IFM, at Linköping University. "This interface can not only maintain and even enhance the electron spin signals at room temperature. It can also convert these spin signals to corresponding chiral light signals travelling in a desired direction," says Weimin Chen. 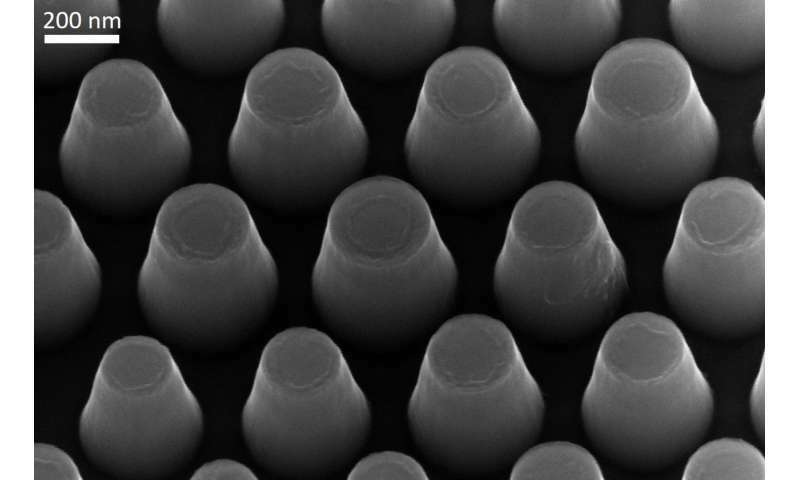 "An important advantage of the nanopillar design is that light can be guided easily and more efficiently coupled in and out," says Shula Chen, first author of the article.